Hot Toys has released photos and full details for their Justice League – Wonder Woman Comic Concept Version 1/6 Scale Figure. The figure is a Hot Toys Exclusive, and will be available at Tokyo Comic-Con 2018. The figure stands a little under 11.5″ tall and has about 17 points of articulation. Wonder Woman includes multiple interchangeable hands, a sword, a shield, a cloak, her Lasso of Truth, bullet deflection effects pieces, and a specialized figure stand. According to our earlier report, the figure will be priced at 28,000 Yen (about $246 USD). The figure is listed as being available &#187; Continue Reading. 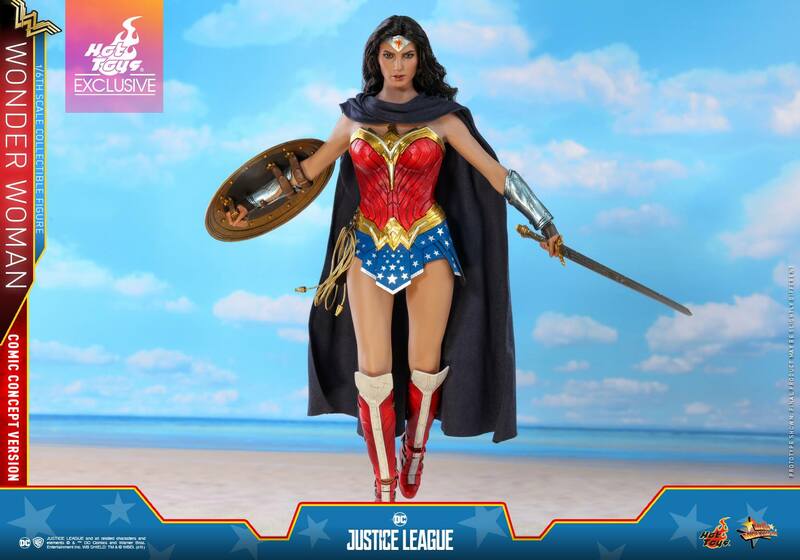 The post Full Details – Justice League Wonder Woman Comic Concept Version by Hot Toys appeared first on The Toyark - News.